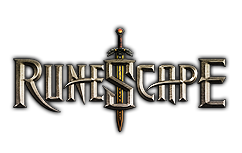 It's RuneScape's 13th birthday tomorrow, is actually power within reach of the members and tonnes of latest content right on the horizon, it's certainly a milestone to celebrate. To celebrate the 13 a lot of slaying, skilling and socialising that contain come until now, we want to hear your fondest RuneScape memories. Enough time you joined with your clan; your first boss fight; the best drop you've ever received: we would like to hear it all! Head on up to this thread to talk about your RuneScape memories. You can also directly over to Twitter to join us in sharing a few of your highlights of RuneScape up to now. Be sure to include the hashtag #RuneScapeMemories to join in the discussion. Happy birthday, RuneScape - here's to 13 more!